BOSTON (AP) — Testimony by the woman who claims Supreme Court nominee Brett Kavanaugh assaulted her when they were teenagers, Kavanaugh’s calendars and a memoir by his close friend combine to narrow the timeframe of when such an attack would have occurred in the summer of 1982. Christine Blasey Ford has said she cannot recall the date of the party that summer where, she says, Kavanaugh sexually assaulted her. That shortcoming has led supporters of Kavanaugh, who denies the accusations, to question her credibility. 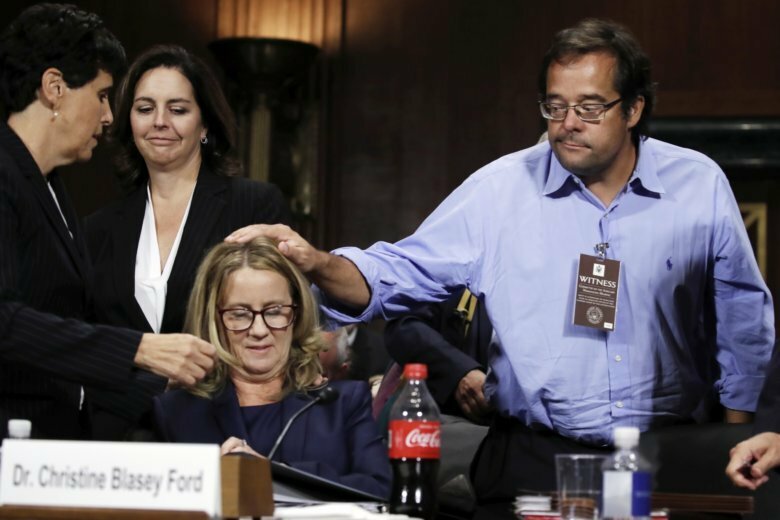 In her testimony Thursday before the Senate Judiciary Committee, Ford told lawmakers she might be able to pinpoint when the alleged attack happened if someone could tell her when Kavanaugh’s author friend Mark Judge worked at a local supermarket. Ford testified that she ran into Judge at the Potomac Village Safeway supermarket in Maryland six to eight weeks after the alleged attack. She said Judge, who she has identified as being in the bedroom during the alleged altercation, was arranging shopping carts and seemed “nervous” and didn’t want to speak with her. Judge wrote in his book “Wasted: Tales of a GenX Drunk” that he worked for a few weeks at the local market the summer before his senior year at Georgetown Prep, meaning the summer of 1982. Judge called the experience helping people to load groceries into their cars a “nightmare,” saying he was often still hungover or drunk when he got to work in the morning. Judge said he worked at the store for “a few weeks” to pay for football camp. According to 1982 annotated calendars that Kavanaugh released to the committee, football camp began that summer on Sunday, Aug. 22. During the second week of June, just after the school year ended at local prep schools, Kavanaugh’s calendar says he was away at Beach Week, an annual trip to the Maryland shore that involved heavy drinking, according to numerous eyewitness accounts. Kavanaugh on Thursday again forcefully denied the allegations and called his confirmation process a “national disgrace.” Kavanaugh acknowledged drinking in high school with his friends. He said he and Ford didn’t travel in the same social circles and noted that the people Ford identified as having attended the party don’t recall such a gathering. In testimony before the committee Thursday, Kavanaugh said his 1982 calendars show that he wasn’t at the party in question. He said he was “very precise” about writing down who would attend gatherings, but said none of those on his calendar include the people that Ford identified. He also stated that he was away at the beach on most weekends during that summer, according to his calendar. “If the party described by Dr. Ford happened in the summer of 1982 on a weekend night my calendar shows all but definitively that I was not there,” he said. He also contended the calendar eliminates most weekday nights that summer, too. The store director at the Potomac Village Safeway said she doesn’t have employee records dating back to the 1980s. A Safeway corporate spokeswoman didn’t immediately respond to questions in an email.